DOJ Inspector General Michael Horowitz confirmed on Monday that the watchdog is looking at potential mishandling of confidential information by former FBI director James Comey in his leaking of memos and that the OIG will "issue a report when the matter is complete," he told the Senate Judiciary Committee. The big picture: President Trump has accused Comey of wrongfully disclosing confidential information when he leaked the memos about his interactions with Trump, which fueled the Mueller investigation and accusations of obstruction of justice. The Wall Street Journal reported in April that some of the information in the memos was classified, and now Horowitz is confirming those suspicious. Comey bias: When asked by Sen. Cornyn whether Comey's actions had his own political future in mind, believing that Hillary Clinton would win the election, Horowitz said that his decision in the Weiner laptop case made it more apparent that Comey "was concerned about his survivability." 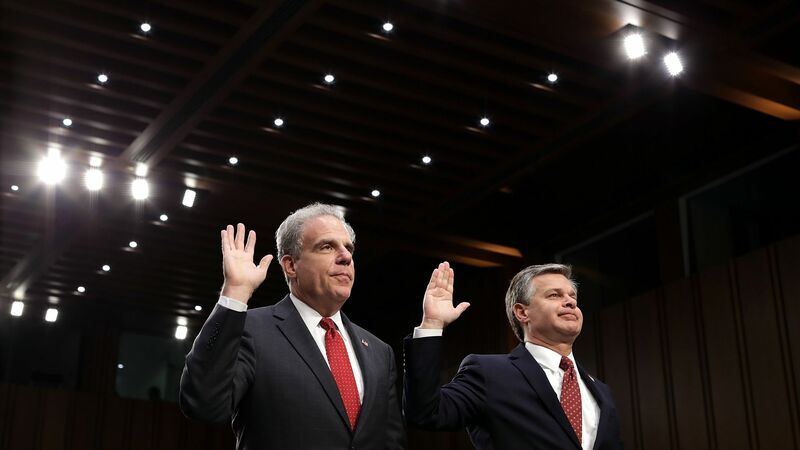 FBI bias: Horowitz added that the IOG is "not convinced" that the decision to prioritize the Russia investigation over the Anthony Weiner laptop and Hillary Clinton email investigation was free from bias.